Our shippers, stand builders and lighting specialists have overcome the hazards of late winter weather to help us to create, we hope you will agree, another beautiful display in our familiar corner of the MECC. The backdrop to our stand is a group of furniture designed by E.W. Godwin, some of which can be seen in the photograph below. Our catalogue E.W. Godwin FURNITURE is available on request, and is linked here. 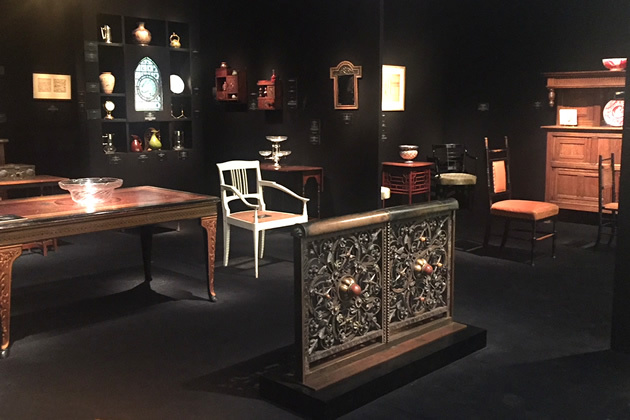 But we are also exhibiting a wide range of English and French furniture and works of art dating from the second half of the nineteenth century: this includes a three-light electrolier by W.A.S. 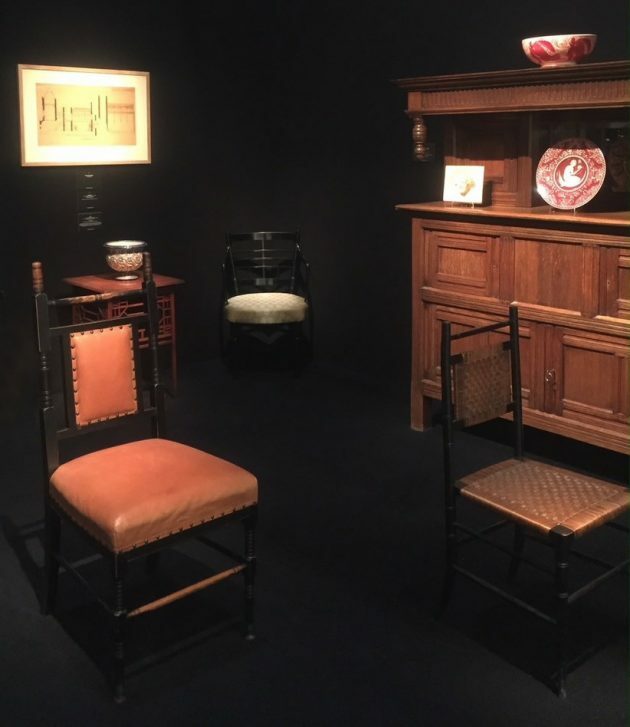 Benson, a pair of ‘Granville’ chairs designed by E.W. Pugin, a group of chargers designed by William De Morgan, all painted by Charles Passenger, ceramics by Pierre-Adrien Dalpayrat and a table by Peter Waals commissioned by the Goddard family. 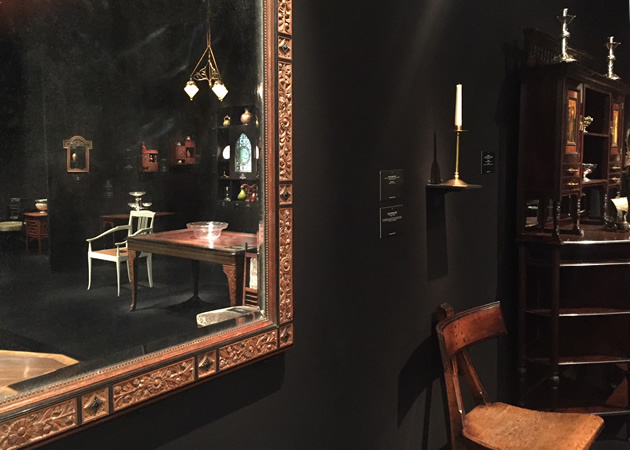 TEFAF opens on Saturday 10 March (with previews on 8-9 March), and closes on Sunday 18 March. China announces ‘total ban’ on ivory, or does it? Circle of George Bullock: a Regency sarcophagus-form strong box?